Though Presbyterian minister Daniel Baker founded Austin College with the aim of producing ministers, the College’s 16 charter trustees included only two ministers. Why? Presbyterian ministers were scarce in Texas. Lawyers made up much of the College’s early boards. By 1854, more than a third of the College’s trustees were lawyers—and had included two of the three members of the Supreme Court of Texas—and the board decided to investigate “the propriety of erecting a law department,” according to Robert Landolt’s Austin College history, Search for the Summit. The department opened in 1855. In 1856, four men graduated with the Bachelor of Law degree, the first law degrees earned in Texas. The department was short-lived due to deaths of several trustees and a lack of finances. Preparatory instruction for the legal profession was phased into the regular curriculum. More than 25 percent of all the graduates of the first five decades of Austin College entered the law profession— one-third of all graduates up to 1900 practiced law. Today, some 16 decades after the closing of the law department, undergraduate preparation for the legal profession is alive and well at the College. For many years, students in the Pre-Law Society have joined together to consider various issues concerning their futures in law. Rod Gilbert ’60 recalls a similar group, the Pre-Law Forum, just getting started in 1960, with the help of faculty sponsors Clyde Hall ’46, emeritus professor of economics and business who was active on the faculty from 1950 through 1988, and Elmer Flaccus, former professor of history. Students today have the benefit of guidance from Frank Rohmer, pre-law advisor and John D. Moseley Chair in Government and Public Policy, as well as the leadership of alumni in the law profession, who formed the Alumni “L” (Law) Association several years ago. Some might say that the 2012-2013 academic year offered more legal preparation than ever since the justices of the Supreme Court of Texas and the Texas Court of Criminal Appeals—the state’s highest courts for civil and criminal law—heard oral arguments on campus and spent time interacting with students. The courts visited campus in conjunction with sessions of the College’s Kenneth W. Street Law Symposium, one in November and one in February. The Supreme Court of Texas first heard oral arguments at Austin College in 2007 and has held other traveling court sessions, often on law school campuses. The Kenneth W. Street Law Symposium also brings many alumni and other professionals to campus for continuing education in areas of law and ethics. 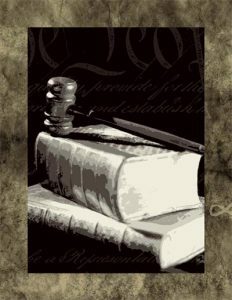 In addition to the presentations by the justices of these Texas courts, law professionals offer a number of panel discussions on various aspects of the practice of law in today’s society. More than 1 million lawyers are working in the United States, according to the 2012 data from the American Bar Association. Several hundred of those are Austin College graduates—found in all manner of offices and firms around the country. The next pages offer a few examples of Austin College alumni in the profession. 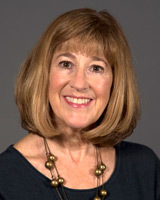 Pam Harnest Pierson is a frequent contributor to National Public Radio and a regular commentator in national publications, such as The New York Times and The Wall Street Journal. She has testified before the United States Congress and written five books. Her everyday mission, however, is preparing young men and woman for work in the world of law, specializing in areas of criminal law and procedure and white collar crime. The Bainbridge Mims Professor of Law at University of Alabama School of Law, Pam does that well. She has received the University of Alabama School of Law Outstanding Commitment to Teaching Award as well as the school’s annual award for scholarship, and has received the Student Bar Association’s Outstanding Faculty Member Award six times. Upon graduation from law school, Pam served as law clerk to the Honorable Theodore McMillian of the United States Court of Appeals for the Eighth Circuit. From 1980 through May 1987, she was an assistant United States Attorney for the Eastern District of Missouri. Pam lives in Tuscaloosa with her husband, Larry, and has two children, Julie and Ben. Alfonso began his career in the El Paso district attorney’s office. He spent 11 years in the Gregg County district attorney’s office and then was elected judge of the Gregg County Court. He is a member of the Texas Center for the Judiciary Board of Directors and past president of the Texas Association of County Court at Law Judges Association. He also is a member of the Texas Task Force on Indigent Defense, and Texas Court of Criminal Appeals Judicial Education Committee. Away from court, he is a member of the Longview Rotary Club and a board member and past president of Hearts Way Hospice. He and his wife, Melissa, have a daughter, Kaitlyn, 18, and a son, Preston, 10. Associate General Counsel, Kinetic Concepts, Inc.
After practicing trial and appellate law for 20 years in San Antonio, Texas, an appointment to the bench seemed a natural progression for Rebecca Simmons. She was appointed district judge of the Texas 408th District Court of Bexar County, and in 2005, was selected to serve on the Fourth Court of Appeals. Also that year, she was specially commissioned as a Supreme Court Justice to sit on a pending case before the Texas Supreme Court. Rebecca is married to Dr. Richard Clemons ’76, and they have three children, Rachael, Sarah, and Patrick. Craig Florence, a partner at Gardere Wynne Sewell, LLP, in Dallas, Texas, is a trial lawyer with expertise in commercial, health care, and intellectual property litigation, handling cases in federal and state courts throughout the United States. Community-minded, Craig has served on the boards of Preservation Dallas and Carter BloodCare, which he served as chairman. He is an honorary board member of the Briana Haley Foundation, a graduate of the Dallas Regional Chamber’s Leadership Dallas, and a former member of Dallas Citizens Council. He also previously co-chaired the Jingle Bell Run and the Dallas Loft Tour. 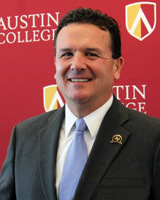 Craig recently served on the Executive Committee of the Austin College Alumni Board and is a member of the President’s Visiting Council of the College. Craig and his wife, Kristi, have two children, Erin, 18, and Caroline, 15. 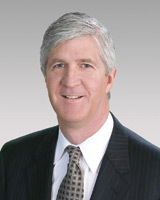 A founding partner of Walker Sewell, LLP, in Dallas, Texas, James Walker represents Fortune 500 companies, insurance carriers, energy and utility companies, municipalities, and individuals throughout Texas and across the United States in complex commercial and insurance disputes. Jim is active in his community, serving his second term as a member of the Coppell Economic Development Committee and president of the Coppell Economic Development Foundation. In recent years, he served as president of the Coppell ISD Education Foundation and was a member of the 2009 City of Coppell Bond Advisory Committee. For more than two decades, Jim served in a variety of capacities on the Board of Directors and Advisory Board of the Dallas Museum of Nature and Science. He has served as a faculty member for formal seminars sponsored by the University of Texas Law School, the University of Houston Law School, and the State Bar of Texas. Immediate past-president of the Austin College Alumni “L” (Law) Association, Jim regularly comes to campus to offer guidance to students in the College’s Pre-Law Society. 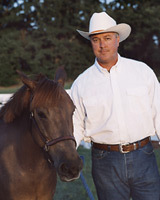 He and his wife, Cherie (Spears) ’84, have two daughters, Mary Beth and Margaret. 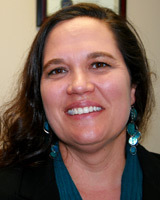 As an assistant United States attorney for the Northern District of Oklahoma, Shannon Bears Cozzoni handles predominately Indian Country crimes. She previously was an assistant district attorney and first assistant attorney general of the Muscogee (Creek) Nation. That’s not the career plan she initially envisioned, thinking she would make her career in corporate law. “I believe my liberal arts education allowed me to explore new directions and played a part in my career path,” she said. That wasn’t the only role for Austin College in her journey. “In law school, many of the students from large universities struggled with having to write essay answers for the first time,” Shannon said. “I had the background to write and analyze and could focus on learning the material. Away from the office, Shannon is a Girl Scout troop leader, a Boy Scout committee member, and active in her Presbyterian congregation. She met her husband, Phillip, also an attorney, at law school. The couple has two children, Clarissa, 12, and Joshua, 11. Corporate Counsel, Harrington, Moran, Barksdale, Inc.
“Austin College prepared me for law school and for my professional life in more ways than I can enumerate,” said Catherine Moran, corporate counsel for Harrington, Moran, Barksdale, Inc., in Arlington, Texas. As a member of Austin College’s Posey Leadership Institute, Catherine was a founder of the Rangel Leadership Program in Dallas, Texas. 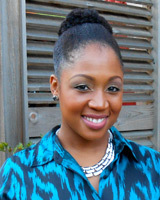 In her second year of law school, she used this experience to create the Ashaki Young Women’s Program in Austin, Texas, at the Alternative Learning Center. “I worked with members of the Thurgood Marshall Legal Society and the Black Grad Student Association to create weekly, hour-long leadership and empowerment programs for junior and senior high school women,” she said. “After a successful first semester, we were asked to extend the program to include all age groups, and to train our male counterparts to mentor the young men.” Ashaki is currently in its sixth year. Other lessons learned at Austin College enable Catherine to effectively organize groups of any size. She put that to use during law school, elected president of the Thurgood Marshall Legal Society, the largest Black Law Student Association in Texas. 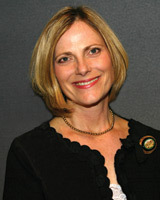 Having been a member of the Austin College Pre-Law Society in 2007 when it first brought the Supreme Court of Texas to campus, she was able to organize a similar symposium at UT Law, also offering panels on civil, criminal, and ethical issues. Clint Buck took a position earlier this year at Curney, Farmer, House & Osuna, an insurance defense firm in San Antonio, Texas. But it took him a little time to decide law was for him. “While at Austin College, I knew that I wanted to pursue post-graduate education, but I needed advice on what path to take,” Clint said. “Without a clear plan, I turned to my professors and mentors at Austin College for assistance. They helped clarify my thought process and suggested that law school could be a good fit for me even though, as a music and sociology double major, I had not considered attending law school. They were right.” Since he had not made the decision to apply to law school until later than most, he waited until after he graduated from Austin College to complete the LSAT exam and his school applications, entering law school the next year. 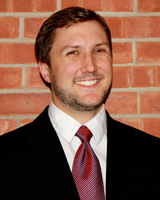 In law school, Clint participated extensively in moot court as a member of four state and national teams. After taking the bar exam, he moved to Midland, Texas, and worked until January 2013 as a Social Security disability and consumer bankruptcy lawyer, then made the move to the San Antonio firm specializing in insurance, commercial, and professional defense representation. More Law News Thomas Vick ’77 and Neal Spradlin ’10 are adding new accomplishments and new faces to the legacy of Austin College law professionals. Read more about Great Legal Minds.